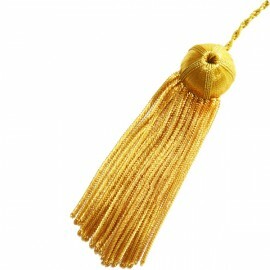 University - College Faculty Graduation Tams are remarkable accessories worn to University Graduation Ceremonies. 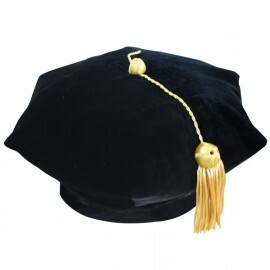 Gradshop's grad tams are considered the highest kind of headwear for higher level education graduations, and are masterfully crafted using the finest quality materials. 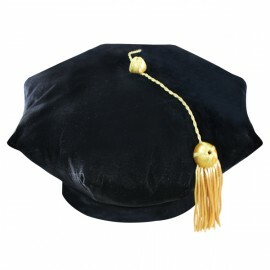 The most popular fabric choice is top quality velvet and a full head band made of fine leather-type fabric to ensure optimum style and comfort. 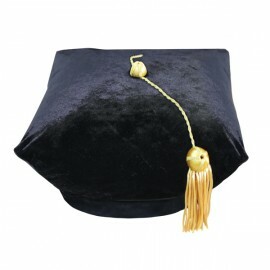 These velvet college tams are accented with a gold bullion tassel positioned at the head part, and are expertly constructed with various point styles. Check out our impressive lineup of top-of-the-line tams to select the one which best suits your needs.